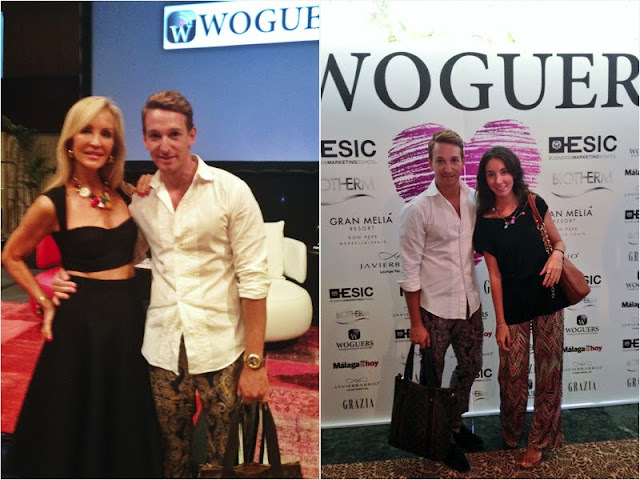 The Fashion Guide Blog : Woguers Marbella, the experience. 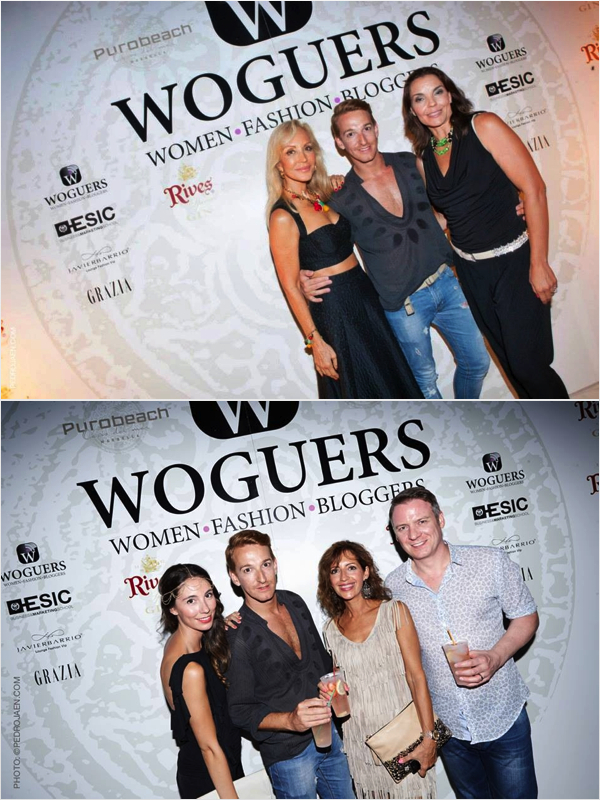 As you all know last week I attended to the latest Woguers Edition in Marbella. My expectations were really high and Woguers exceeded them. I really recommend Woguers to every blogger who wants to succeed. 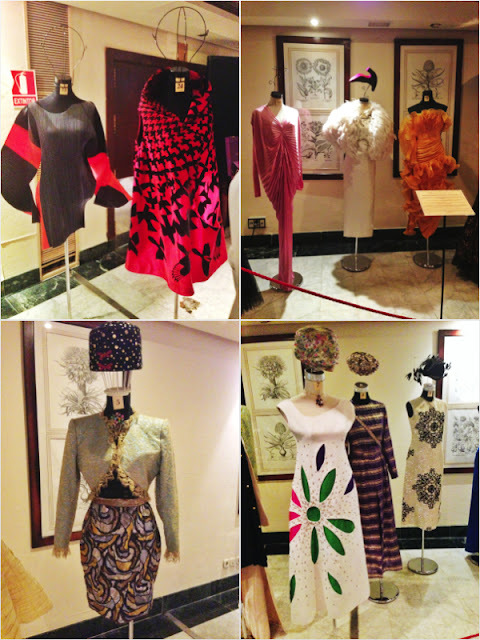 The Hotel Meliá Don Pepe in Marbella was the perfect setting for the event and we were all surprised to see the creations of some of the greatest fashion designers among us. After a break for lunch we went back and had 3 round tables where the experts shared their experiences and their points of view with us. Very interesting. Carmen Lomana, who due to close this Woguers Edition, joined us during the round tables. It was really nice to see someone I idolize talking to us and answering our questions. She's very direct and she doesn't care what people say about her. We all went back to our hotels or homes with goody bags full of gifts from the different sponsors and got ready to end the night with an amazing party at Puro Beach Marbella. I could write and write about this amazing experience as a blogger - an experience any blogger have if they would like to success in this world. Here you have some pics from the event. Left: with Carmen Lomana / Right: with Marta Mínguez. Above: with Carmen Lomana and Mª José Flores (Director of Woguers) / Below: with Marta Mínguez, Celia Quijano & Simon Gillibrand. Hola te he descubierto por casualidad y me ha gustado mucho tu blog. Te sigo y me quedo por aqui. Te invito a visitar nuestro blog donde muestro mis creaciones en ropa y complementos originales y únicos,mis estilismos, actualidad y mucho más. Muchas gracias Anabel. Le echaré un vistazo a tu blog. estuvieron en Marbella???? ahhh no!!! me lo perdí T_T A ver si estoy atenta para la siguiente!! Por cierto!! Soy Noemí Carbonero y quiero darte la bienvenida a la Comunidad de Spanish Fashion bloguers. Cada día somos más y poco a poco nos vamos conociendo y teniendo contacto en un mundo tan masificado como es internet! ^^ Si tienes cualquier propuesta puedes contárnosla, a fin de cuenta ser bloguer es echarle imaginación y divertirse! un beso y te invito a mi blog! muak!